The Club currently has three live syndicates, covering Onefitzall, Westend Story and Keep Rolling. Our alumni include Gas Line Boy and Cloud Creeper, both of whom enjoyed considerable racecourse success. 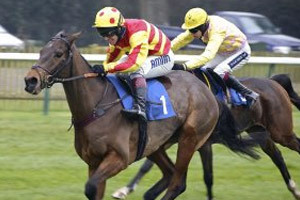 The Club acquired Gas Line Boy in 2012 when he was six at the Doncaster sales for £26,000, shortly after he had won a maiden point to point in Ireland. Over three seasons he ran in 17 hurdle races and steeplechases, winning four of them and being placed seven times. He ran in the 2015 Grand National and, although he over jumped at the first fence and came down, it was a huge excitement for syndicate members to be part of the world’s greatest jump race. In 2015 the Club sold Gas Line boy for £44,000 as a nine year old. His highest Official Rating was 147. He has continued to run well for his new owners, most recently when he was fifth in the 2017 Grand National! 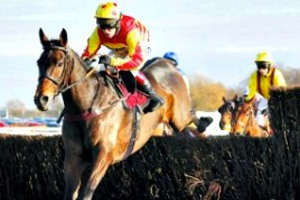 Gas Line Boy has now won a total of over £120,00 in prize money. 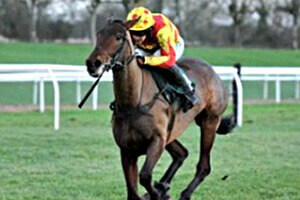 Cloud Creeper was purchased privately as a five year old in 2012, after he had won a maiden point to point in Ireland. 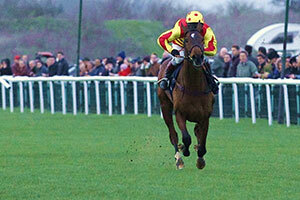 Over the following four competed 25 times, winning four of his races and being placed 14 times. He won £55,000 in prize money and achieved an Official Rating of 152. Unfortunately, Cloud Creeper in 2016 sustained a tendon injury, recovery from which was slow. His groom, Emily Mayberry, loves him dearly and, about a year ago, the Club allowed him to go to her. 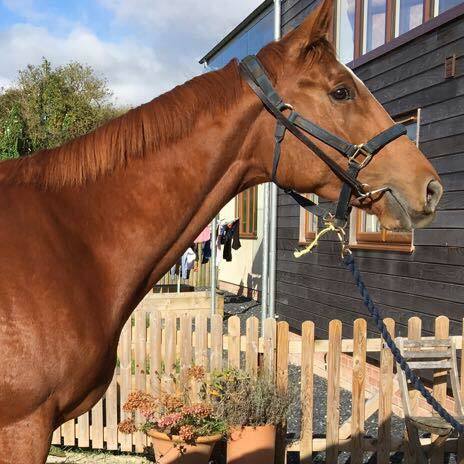 He is now sound and, those members who came on the stable visit in October 2017, saw Emily ride him up the gallops. Emily hopes to ride him in a point to point before Christmas. He remains the property of the syndicate but she will continue to be responsible for his upkeep. Should she wish to run him under Rules, she will obtain the Club’s consent.